8th grade graduation held in Congregational Church. 1927 I think! Description Scanned as B & W; creased. This photo is NOT exactly the same as 353a & b, but see also these photos for more information. 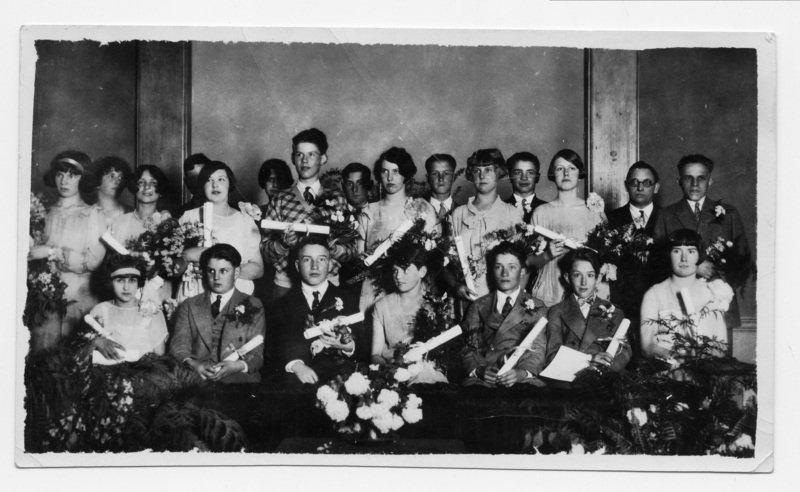 Transcription 8th grade graduation held in Congregational Church. 1927 I think! Physical Description H 3" x L 5 1/2"